I've had the pleasure of working with some amazing families! Check out what some of them have to say about their session with me. If you think we may be a good match or want more session info contact me here. "Dawn is a pleasure to work with! She came to our home to photograph our two-week old newborn and take some family photos. She captured so much love and joy in the photographs - way beyond just pictures of our baby. As a bonus, she managed to wrangle our 85lb four-legged bundle of dog into some of the best family photos. We enlarged a few and have them hanging in our living room. Everyone from family members to our plumber have commented on our beautiful family photographs. Thank you, Dawn, for capturing one of our most cherished moments!" 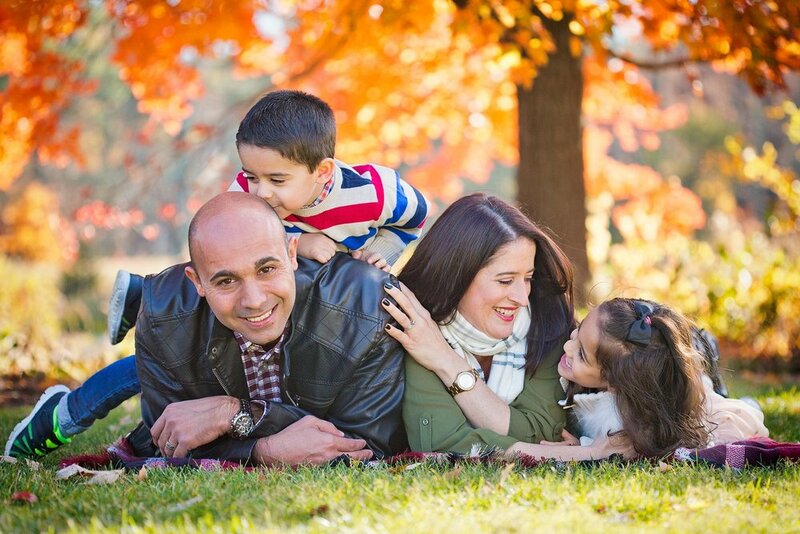 "Dawn and her family made our Family Photo session so amazingly comfortable and candid. The kids were relaxed & little Jade helped to make the kids be themselves. I would HIGHLY recommend A Lovely Shade of Jade to anyone. I cannot wait to have canvas frames made of our pictures. Thank you so much Dawn, Mark & Jade! XOXO"
"Dawn has a knack for capturing that perfect moment! She has been taking photos of our daughter for over 5 years now and we are always thrilled with the photos! She makes it hard to choose which ones to hang around our house, they are all so special!! Dawn is a joy to work with & has the pictures edited and ready to view quickly! Simply the best!! Highly recommend!" "Dawn is fantastic! She talked to us about ideas ahead of time and came prepared to move fast. She took family photos of us with a one year old, 4 year old and a dog. We moved quickly and she still managed to take more photos than I could ever choose! Time was of the essence for us and she made it work! Love our photos!" "Dawn is an amazing photographer, I highly recommend her services! She has many creative visions and ideas for the story you want to capture in your pictures. She works well with kids, and was exceptional with my stubborn 3 year old son. I was impressed that she was able to get so many great pictures in such a short amount of time. She truly is a perfectionist with picture editing. I look forward to our next photo session and we will only work with Dawn for all our family pictures!" "Dawn, Mark (and Jade!) were the creative geniuses behind our Christmas card photos last year. Dawn had the wonderful idea to visit a tree farm and found a local one that could accommodate our family (including our pup!) They were so wonderful to work with and made the experience enjoyable from start to finish. My husband does not love photo shoots, but even he had a great time. I couldn't recommend them enough for a family shoot (and based on what I've seen of her other work, I'd say Dawn is the perfect photographer for whatever you may need!) The drive full of images is a treasured keepsake and I was so pleased with how our cards turned out. We will definitively use A Lovely Shade of Jade again in the future!"